And then he realised that each triangle mesh was stored in a different vertex buffer forming 10,000 disparate meshes having nothing to do with instancing … buffer accumulation it is then … he thought. 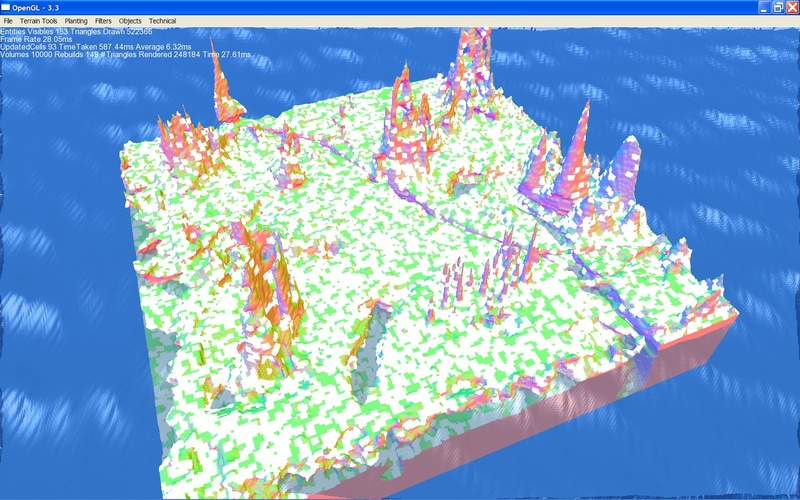 The white triangles represent the places where the collision volumes have intersected the terrain mesh triangles. There are 200k+ triangles used to represent the intersections and so many draw calls and buffer swaps that the renderer can barely function. This entry was posted in Development Log. Bookmark the permalink.